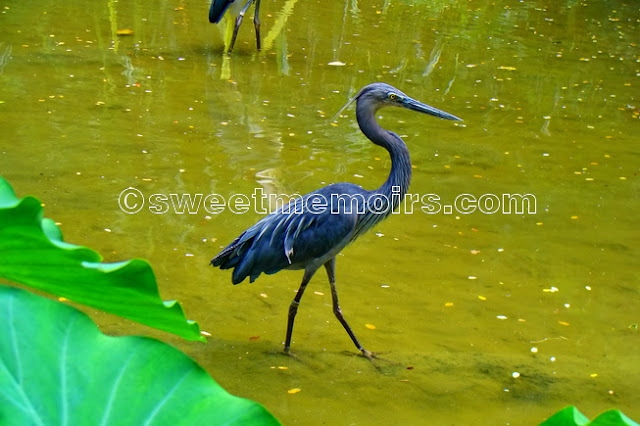 The Little Blue Heron, Egretta caerulea, is a small heron. It breeds from the Gulf states of the USA through Central America and the Caribbean south to Peru and Uruguay. someone we know would be smiling when she sees this blue bird ! I love these birds, they are so elegant when they walk and love when they stare at you, so intense. beautiful picture of this elegant bird, Che. Great photo! I am always thrilled when I get to see one on the water...there is one that sometimes flies alongside a local road (there is a water-filled ditch on the edge of the road), and it is quite a sight to look out your car window and see him flying along beside you! Such a beautiful bird, and fantastic capture, Cher! where in the world did you find this beautiful creature? !